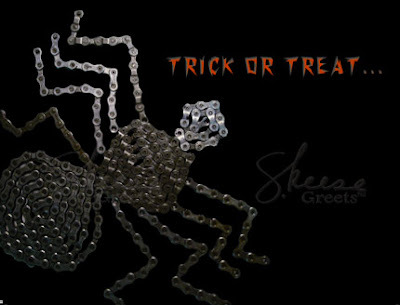 After many inquiries at the Hotter N Hell 100 Bicycle Expo, I've decided to create a boxed set of 10 for the "Spider" Halloween Card. The holiday is becoming a popular time not only to dress up and decorate, but also to mail out cards. So if you'd like to get a head start on your yearly mass greetings, then send Halloween - it'll be a nice surprise for the recipient!